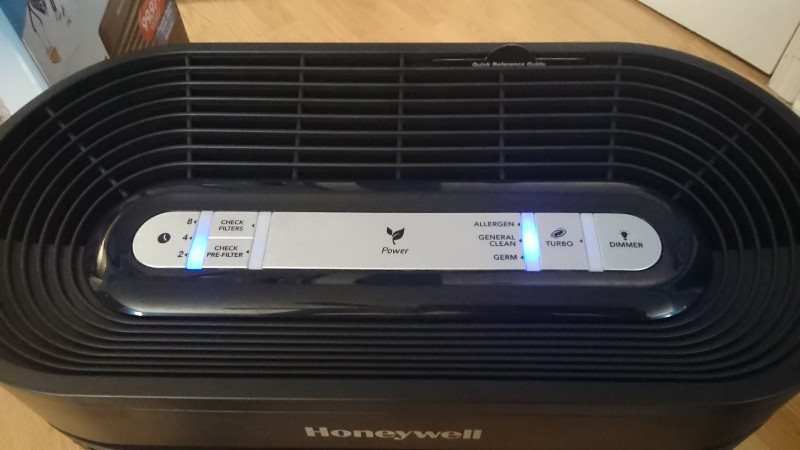 Home » Product review » Honeywell HPA 300 Review – Check It Out! 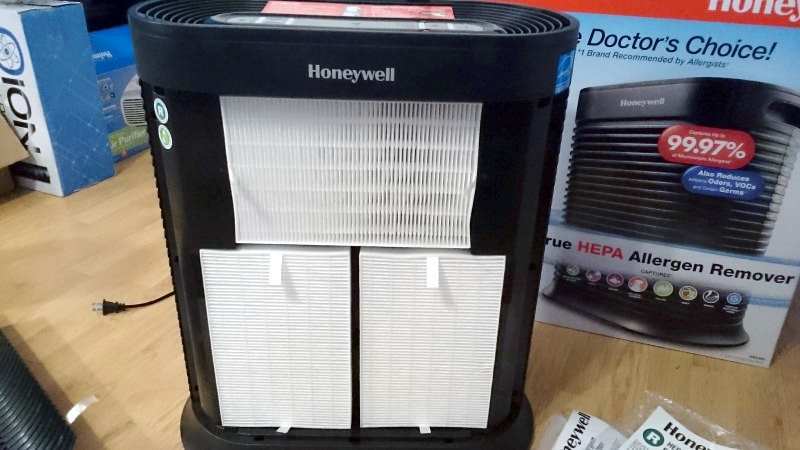 Not unlike the GermGuardian line of air purifier products, Honeywell also produces a large range of popular air purifiers. The HPA family of purifiers includes several models with similar styling and controls. In my detailed Honeywell HPA 300 review I’ll share with you what you need to know before buying. There are lots of details I’ve got for you before my final review score and summary so let’s get started! 10. Is it safe? Can the Honeywell HPA300 cause headaches? 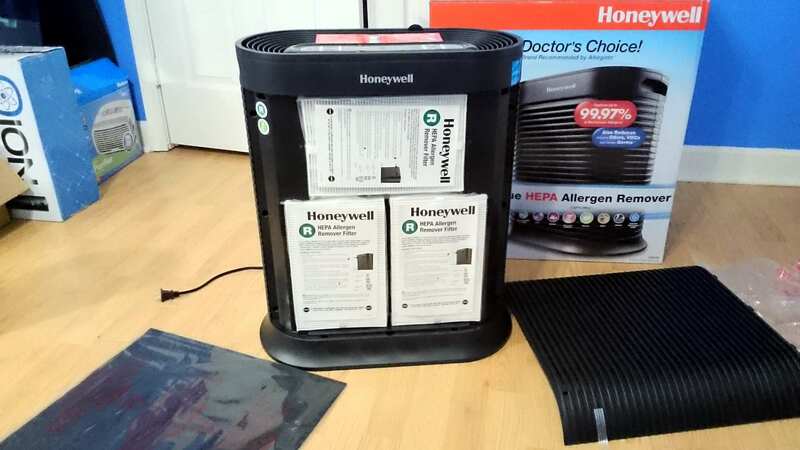 Honeywell products produces a number of similar products in the HPA series of air purifiers. Shown are 3 very popular models and the suggested room sizes they can clean well. The HPA300 is actually the larger member of a family of similar products from Honeywell. All of which are reputable models with overall excellent buyer reviews. They’re very popular sellers, too. The HPA300 and its smaller siblings use 2 types of filters: true HEPA and a separate pre-filter. Both are replaceable. The purifier works by drawing air through a “true” HEPA filter that is very efficient at permanently removing particulates in the air around you. The front grill draws in air which is filtered and then forced out through the top vent section next to the control panel. Standing at a large 22.3″ (56.6 cm) tall, it’s a big one. When picking up my HPA300 I had a good impression right from the start. Much like GermGuardian products I’ve reviewed, I got an impression of quality right away. 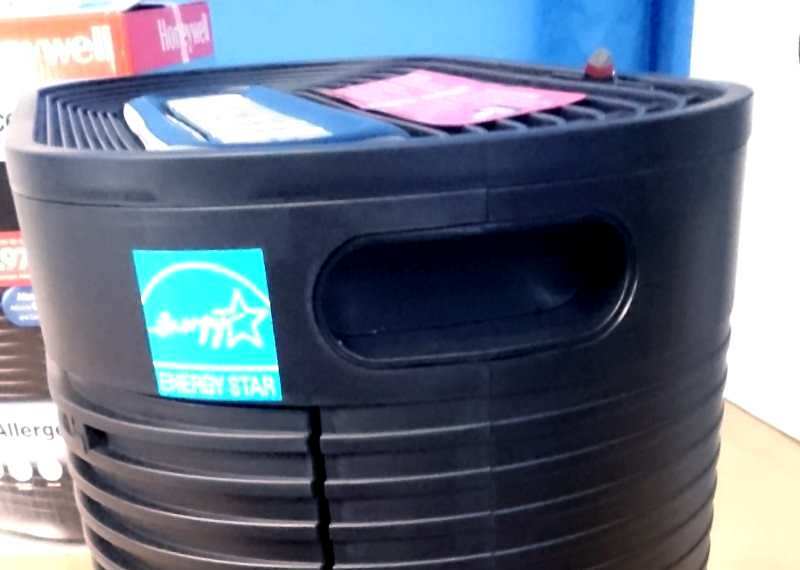 The box displays a large amount of benefits the purifier provides and also the type of replacement filters you need. I can’t say the same for all products I’ve tried. I was eager to try it out. Build quality is good and it’s a great looking product. The body is made of ABS plastic, but it’s well put-together and I didn’t find any gaps or poor assembly. The finish is a satin black. Both the front and rear are styled similar (note: air is drawn in on the front side only). 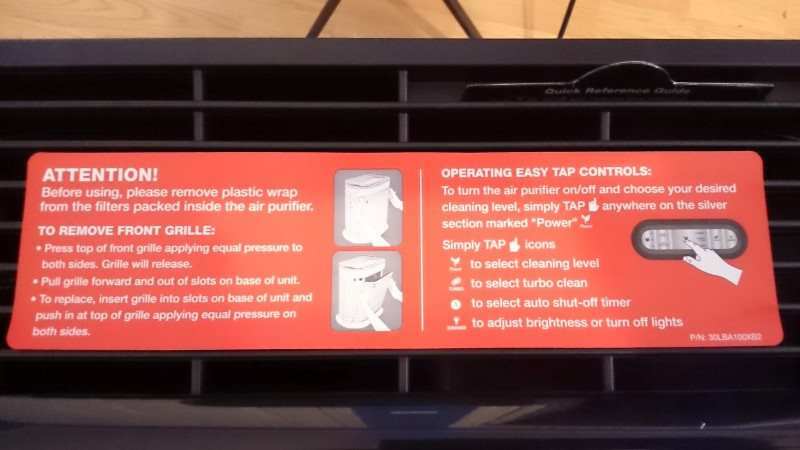 After unpacking and removing the top quick start label, I examined the purifier for any noticeable quality control problems. The construction is good, and while like the other purifiers sold today, it’s made of plastic. However, it feels good to the hand and not flimsy. No complaints here. Looking it over I found no issues with the fit & finish. Gaps between parts were nice and tight and consistent. The purifier doesn’t have any rattling or loose parts, either. It’s by no means a small product (after all, it is a large/extra-large room purifier!) but I found it easy to remove from the box as well and move around. One of the things I enjoyed finding was the “new user” label attached to the stop after unpacking. 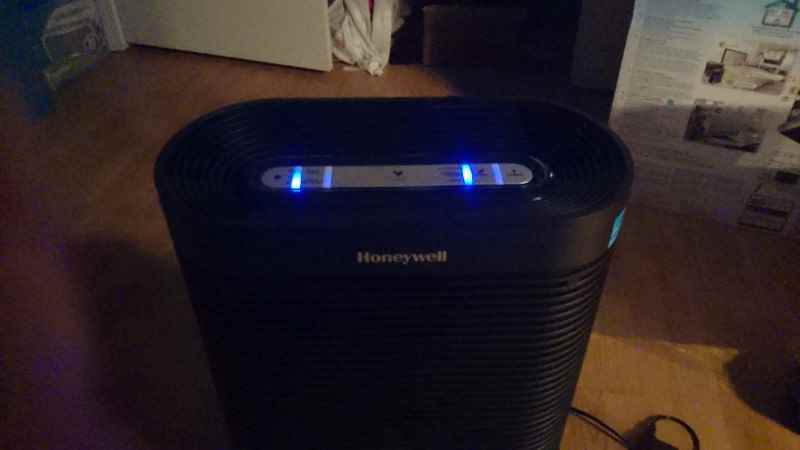 It’s a great way for new buyers (especially those unfamiliar with air purifies or Honeywell products) to get going. It’s clear and well-written. I’m kind of glad it’s there because otherwise I might have assumed the filters were ready to use and would have turned it on right away. 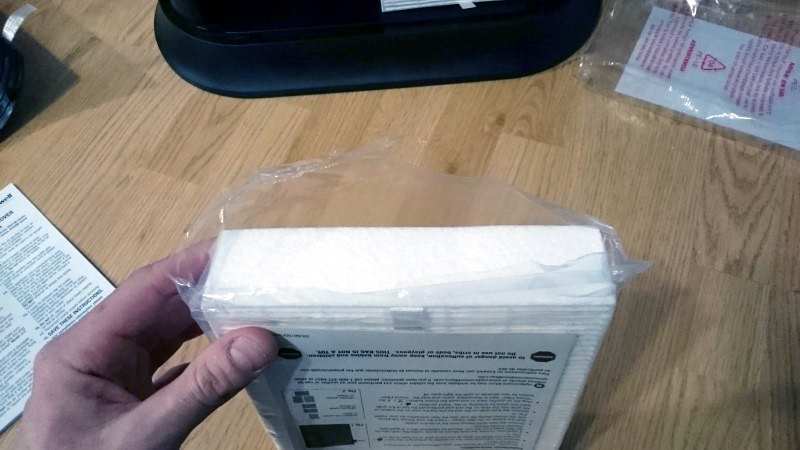 The label instructs you to open the front cover, remove the HEPA filters from their plastic bags, and replace the front grill. Additionally it cover basic operation so you can get going without needing the owner’s manual (which I cover below as well). In my opinion it’s a great idea. Simply peel it off before using it, as it blocks the fresh air output vent. A handy quick reference guide is built into the body, near the controls. There’s a small tab located at the top of the purifier which when pulled reveals a nice guide to help you. A nice little surprise was the quick reference guide built-in to the purifier. Located above the touch control panel is tab sticking out of the body slightly. 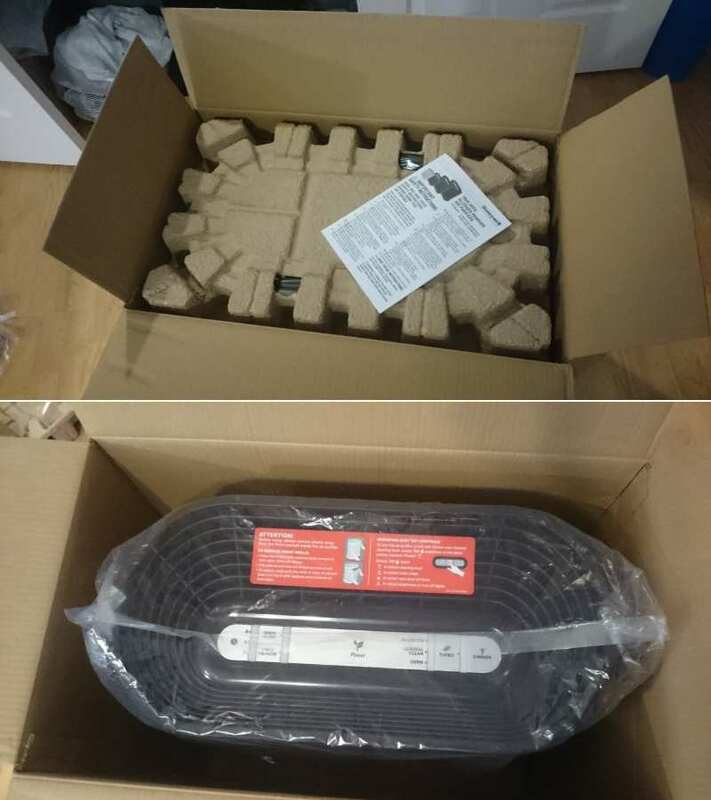 Pulling it reveals a simple list of helpful instructions as well as the company’s customer support phone number. It’s an excellent idea and lends a good impression to me about both the design and the company. This is a small but nice feature I haven’t seen in competing products. The Honeywell HPA300 shares a similar control panel with the smaller HPA200 and HPA100 models. It features touch-sensitive controls which allow you to change cleaning modes, engage the Turbo speed feature, set the auto-off timer, and dim the control illumination. It’s easy to operate in my experience, and I found it a pleasure to use. People who are accustomed to traditional push buttons or rotating switches (as many GermGuardian products use) may find them odd at first. But because the design is so convenient and works so well I can’t find any real faults with it. The touch controls work smoothly, although on rare occasions I did see it miss my touch or it didn’t register that I was switching cleaning modes. In that case I had to touch it again. That’s not unheard of for touch-sensitive devices, however, so don’t let it deter you at all. It didn’t happen very often and really wasn’t a concern for me. Touching the Power (center) section of the panel rotates the current mode. The modes follow this pattern: Off -> Germ -> General -> Allergen -> Off. The dimmer also rotates the brightness level of the blue indicator lights used to display current modes. Touching the dimmer control moves though: Full -> Medium -> Low -> Off -> Full and so on. Similarly, the auto-off timer is initially off and can be rotated through the 3 time options available: Off -> 2 hours -> 4 hours -> 8 hours -> Off. I found the controls very intuitive to use. I’m pretty confident that nearly anyone would agree. Additionally, you’re off and running after unpacking it in only seconds, because it’s so easy! I’m not quite sure why Honeywell has named these three modes the way they have, as I noticed when testing it that they’re more similar to low, medium, and high. Perhaps it’s due to the amount of air flow, but unfortunately the owner’s manual doesn’t go into detail about these modes. The HPA300 is a larger purifier with a significantly more powerful fan so it’s not surprising to see that its Clean Air Deliver Rate (CADR) is much higher. It’s advertised as being able to cycle and clean the air in a large room in 5 hours and I believe it. The HPA300 has passed an independent 3rd party’s verification test to determine its air cleaning effectiveness. Seen here is the actual ratings result. The Association of Home Appliance Manufacturers (AHAM) testing for CADR ratings provides a way for home appliance manufacturers to demonstrate the effectiveness of their products. Air purifiers in particular are rated according to dust, smoke, and pollen cleaning efficiency, where a higher number is better. For typical products for small to medium-sized rooms, the CADR from quality air purifier manufacturers tends to be around 100 or so. As you can see here, the HPA300 has an outstanding 300+ CADR for cleaning the most common air quality problems! That’s fantastic. Most importantly though, you should be spending your money on a product with proven air cleaning performance. The HPA300 more than passes this criteria! While I’ll admit it looks very big and maybe a little bit intimidating, when actually testing it I found the HPA300 to be fairly easy to move around. 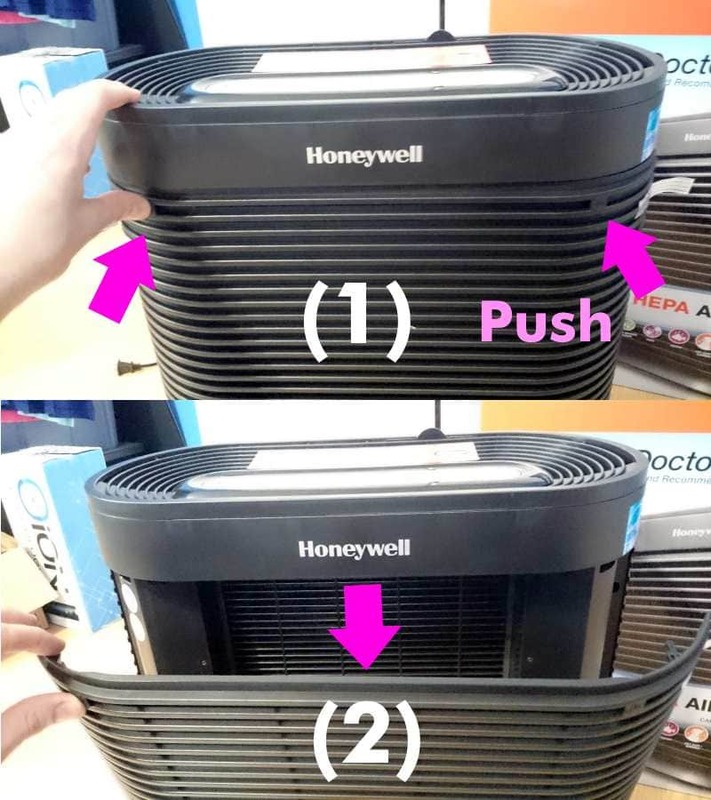 Both sides, near the top, have a place to put your fingers to allow easily moving the purifier from place to place. It’s a great feature and I didn’t fully appreciate it until I tried it. Really nice! At 21 lbs in weight (about 9.5 kgs) and 22.3″ (56.7 cm) tall in size, at first glance you’d think it’s going to be a pain to move to the best spot in your room to use it. The truth is, it wasn’t at all. I found it pretty easy to move and not at all a problem to deal with. As it’s rated for up to 465 square feet by the manufacturer, it’s a great choice for extra-large rooms. However, you can definitely use it for large rooms as well. It will simply cycle air and clean them more rapidly than a larger room. I tested the HPA300 over a series of days and let it run all day while I was out of the house. It’s a great way to come back home and feel that “fresh air” difference that a good air purifier can make. Additionally, I have a bit of a dust problem so I’m always able to tell what’s working and what isn’t. Consistently, the HPA300 was very good at removing airborne particles (especially dust, in my case) and left fresh, health air for me to come home to. The Turbo mode is especially helpful if you’re bothered by an air quality issue and need the fastest possible relief. Other products including the GermGuardian AC5000E don’t provide that special feature. Right out of the package, the HPA300 comes with all the filter you need, but unlike other brands they’re sealed in plastic bags. Per the instructions (included) you’ll have to open the bags and install the filters. It’s very easy, though. Note that the HPA300 and other similar models use the same filters – just a different quantity. 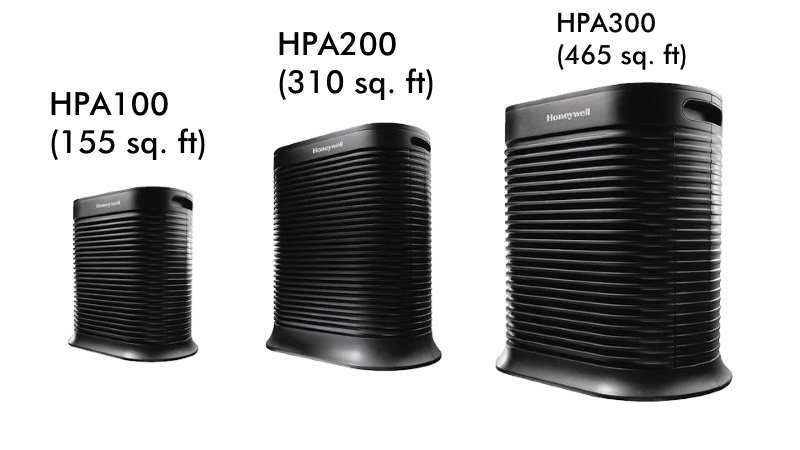 The Honeywell HPA family of purifiers uses High Efficiency Particulate Air (HEPA) filters as well as an odor reducing pre-filter for large elements and odors. Opening one of the Type R HEPA filters before installing it and using the purifier. The included filters are made of a soft but dense material that filters out an incredible amount of unwanted particle in the air. These particles cause allergies, sneezing & sniffling, and much more. Installing the new HEPA filters before inserting the pre-filter. Note the easy pull-tabs on the filters. When replacing, this makes removing the dirty filters very easy to do! Included are 3 Type R true HEPA filters which you’ll need to remove from their plastic bags and insert into the front of the purifier. It’s really easy to do and only took me a few moments. Installing the odor reducing pre-filter, which is simply placed over the HEPA filters and then covered with the front grill snapped into place. The odor reducing pre-filter that’s included is basically a large square section of a filter material without a rigid frame attached as some competitors do. It’s simply a matter of placing it in front of the HEPA filters and then attaching the front grill. The pre-filter section is a less dense & thin section covering the active carbon filter. It’s job it so first capture larger items in the air like pet hair, dust, and so on. The active carbon filter traps odors and other chemical substances in the air. Together, they work well. 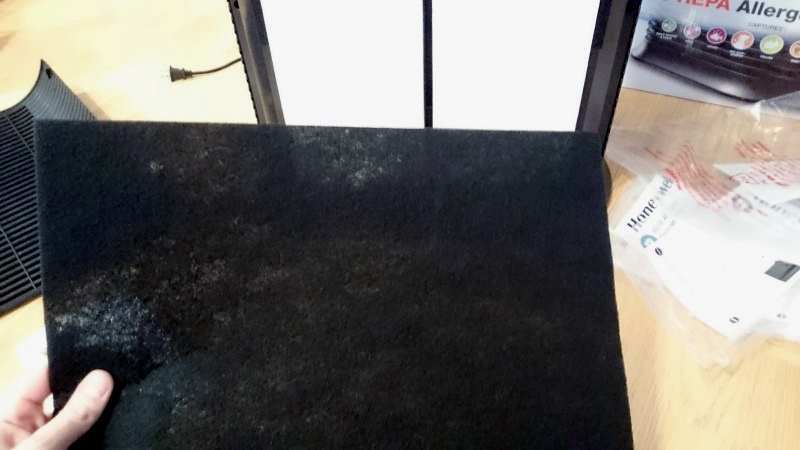 As I’ve mentioned in my other posts, I have a problem with dust and HEPA purifiers have really helped a lot. 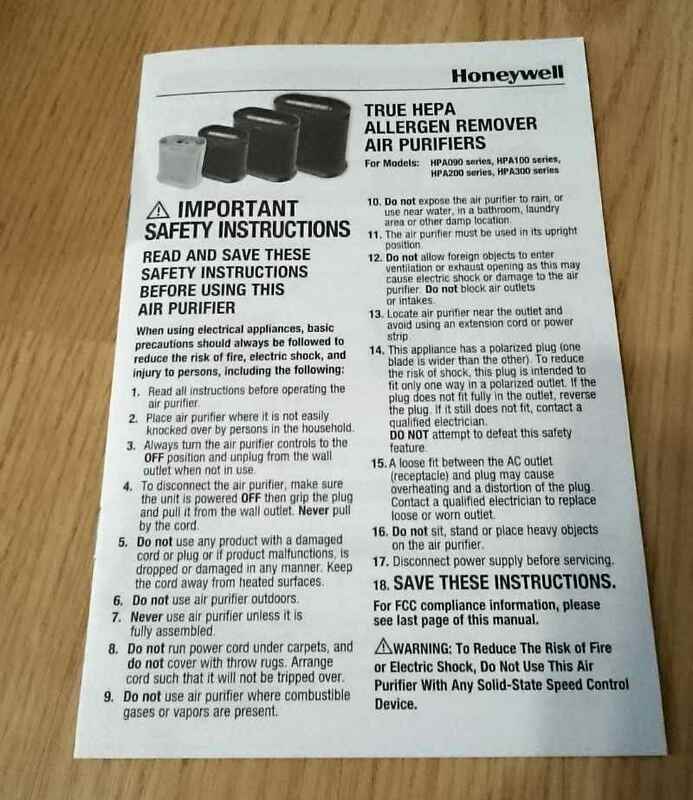 For odors, though, you need to understand that the Honeywell purifier will help, but it isn’t an instantaneous solution. It takes time for it to cycle the air and remove odors…but it definitely helps! In order to replace filters or to initially get your purifier set up, you’ll need to remove the front grill. On the HPA300 this is done by slightly pressing marked points on both the left and right sides as indicated. These are snap-click retainers which hold tabs on the grill in place. The grill has 2 tabs on the bottom which hook into slots before the grill is moved upward and snapped into place. In doing so, I discovered that it’s very easy to do. However, if you move the purifier and even lightly touch the grill near the top it has a tendency to become loose and the grill needs to be re-seated. This is a minor complaint, but something to be aware of. 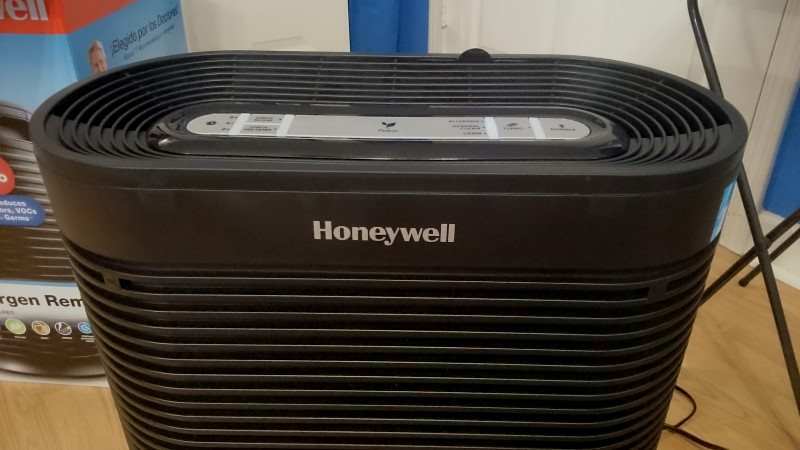 Replacing all 3 HEPA filters will cost around $57 dollars or so for a 3-pack made by Honeywell. The pre-filter averages somewhere close to $6, so it’s really a good deal in that case. While $57 or so may sound like a lot, it’s actually about average as most others cost close to $30 for 6 months or so replacement. Therefore it works out about the same. What sets the HPA300 apart from other purifiers is that it features separate replacement reminders for the HEPA and pre-filter elements. It’s a unique feature that few products have. After a replacement reminder comes on you can check the filter and clear the reminder by pressing the lighted button and hold it for about 2 seconds. It will clear and the reminder will be reset. Note: you can also replace filters before the reminder occurs and reset the reminder ahead of time, according to the manual. With the unit turned off, press and hold each button separately for 5 seconds. The indicator light will illuminate. Then press and hold that indicator light until it goes off. After this the particular reminder will be reset to its “clean” initial state. Is it safe? Can the Honeywell HPA300 cause headaches? As I’ve discovered that many people search for answer to this question, I wanted to cover this topic in my review as well. As I explain more in this post, an air purifier based on filtering the air doesn’t produce any emissions. The auto-timer shuts off the purifier after 2, 4, or 8 hours have passed. I have to say it’s one of the easiest features like it I’ve ever used! Works great, and the purifier shuts itself off just as expected automatically. In order to use it, simply touch the clock symbol to rotate through 2, 4, or 8 hour options. Doing so a 3rd time will turn it off again. 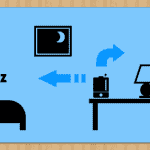 I like it – what a great option to have before bed time. No need to worry about having to get up in the middle of the nigh to turn it off! The owner’s manual is only about 8 pages in length for the english section, but it’s very straightforward and clear. Well-written and concise, it covers the most important basic information you need to use and maintain your purifier. Additionally, one of the best things is that it makes it easy to find the customer service telephone number if you need it! If you’d like to read more before buying, you can view or download the HPA300 owners manual here. 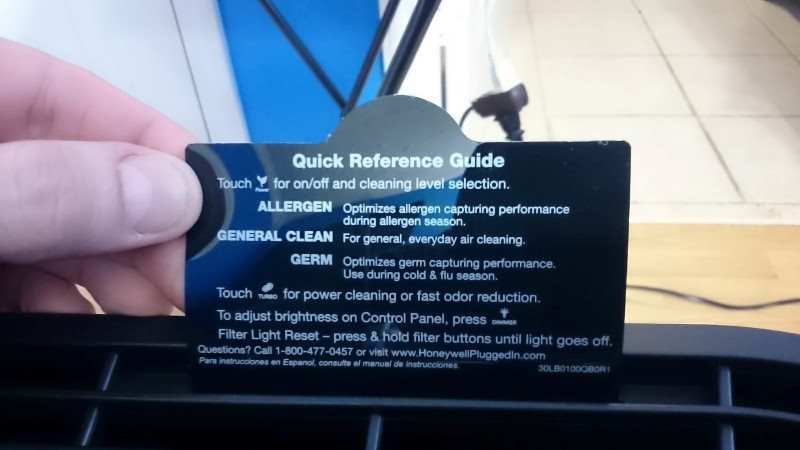 For such a big purifier, noise levels seemed to be very reasonable for Germ, General, and Allergen modes! Germ mode was especially quiet and in fact as low as some of the small or medium room purifiers I’ve tested! After trying the purifier, it seemed as if those 3 operational modes corresponded to low, medium, and high respectively. Turbo mode is much louder and of course isn’t suitable for sleep time. But it’s a great feature to have when you can run it full-speed if the noise won’t be too much for you. I used a great little sound level meter to measure volume levels. I tested the volume levels at 1 meter (3.28 ft) from the purifier. Turbo is definitely a bit loud and is not suitable for times when you’re close to it. As far as the others are concerned, it’s almost the exact same (relatively low) as smaller purifiers I’ve reviewed before. I was impressed with that, as originally I thought the 3 main modes would be much worse in terms of noise. It’s a pleasant surprise to use it and not even notice it’s running! 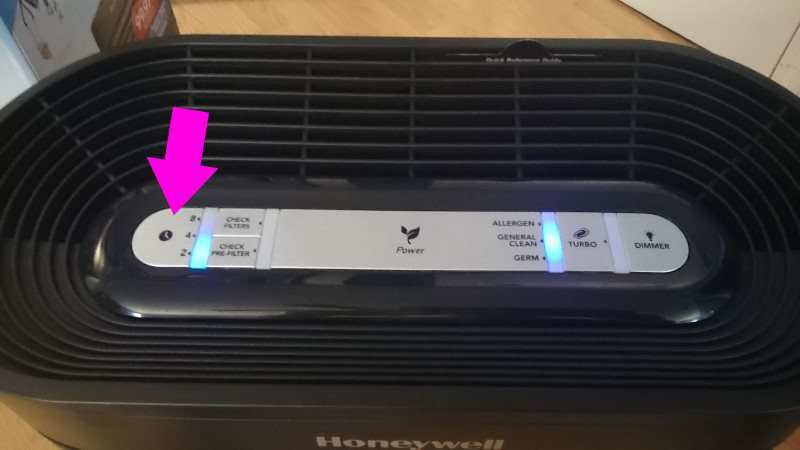 I’m very particular about the brightness of my air purifiers during testing, as normally I’m very sensitive to both light and sound when sleeping. The HPA300 does have blue LED backlighting for the controls, however it wasn’t too bright. I was able to sleep without any problem and never actually had to use the dimmer feature. What’s interesting about this particular model is that despite the fact that I’m normally sensitive to light when I sleep, I never had to use the dimmer feature. Honeywell has built-in a nice little dimmer control (accessed by simply touching the Dimmer button area) for 3 levels of control illumination: Medium, Low, and Off. However, while doing my “overnight” testing I never had a problem. The HPA300 isn’t very bright at all, unlike the GermGuardian AC4825 for example. You should have no concerns whatsoever about it keeping you awake at night even in the same room. After owning and using the Honeywell HPA300 for some time, I have to say overall I’m impressed! It’s a great purifier and it’s really easy to use. 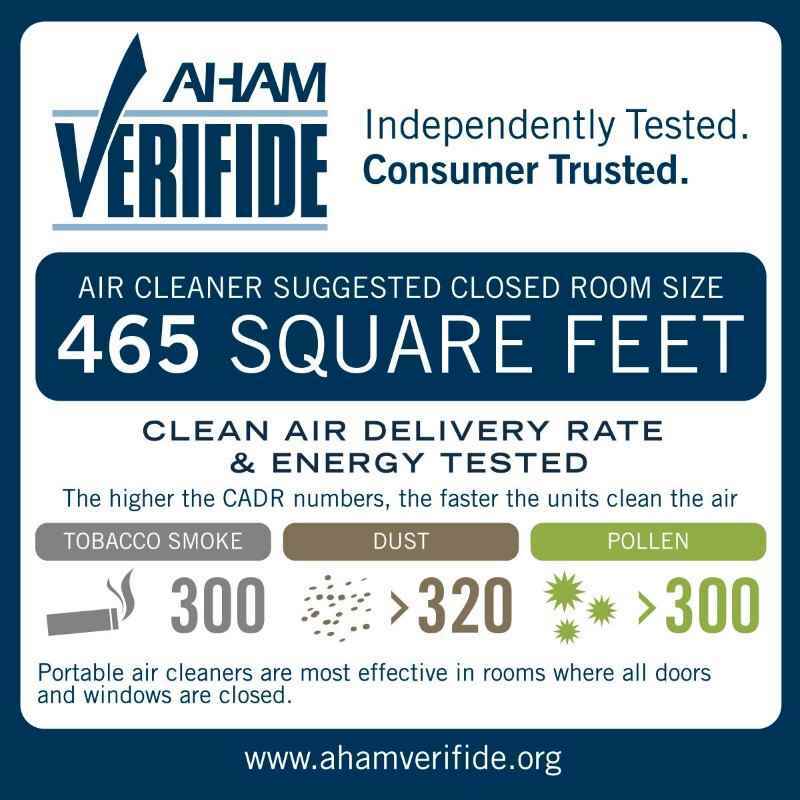 It does what it’s supposed to and does it well – cleaning the air in large or extra-large rooms. With well-designed features it’ll be a great choice for your home, too. Definitely head over to find out for yourself why it's one of the top-rated purifiers sold today at Amazon. Good quality, great features, and Turbo speed air cleaning ability make it a smart choice for clean, fresh air in bigger rooms. Testing the HPA300 was a joy. Although it's large at 21 lbs and 22", it's surprisingly easy to move from one spot to another. 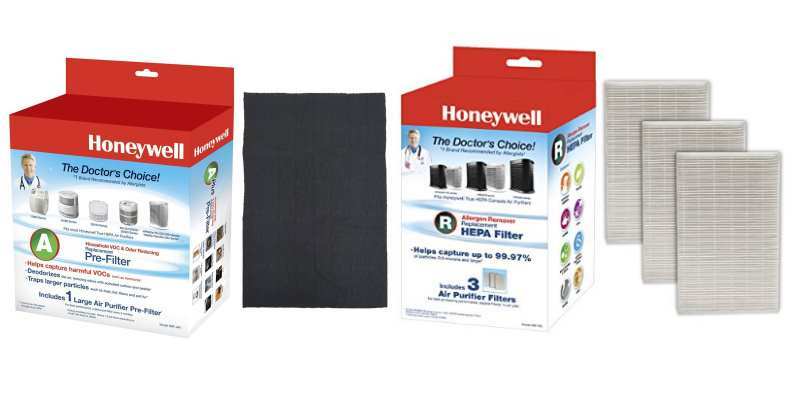 Filter replacement is simple and uses readily available/affordable Honeywell modular replacements. Features like Turbo mode and separately removable pre-filters are especially nice. The touch sensitive controls are a breeze to use and nearly anyone will get accustomed right away. It's also surprisingly quiet during normal operation. A great buy for your money for larger rooms. It's a pleasure to own and you'll love it just as much as I have. 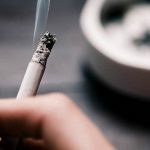 What's The Best Air Purifier To Remove Cigarette Smoke?